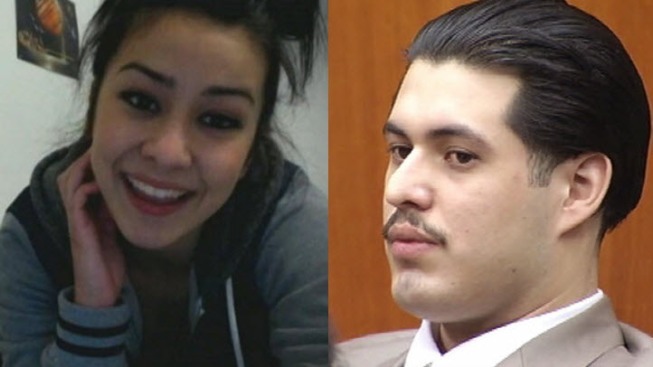 The man convicted of murdering Sierra LaMar is now battling to try and escape execution. Robert Handa reports. The man convicted of murdering Sierra LaMar is now battling to try and escape execution. Antolin Garcia Torres on Tuesday was found guilty of first-degree murder. The legal fight has already started over whether he will get the death penalty. Garcia Torres must now convince a jury that his life worth sparing. It is the same jury that already sees him as a murderer. New court documents show the defense will bring in a forensic psychologist to help make Garcia Torres' case. And documents also show the prosecution wants its own psychologist to interview and evaluate Garcia Torres. Santa Clara University professor Thomas Plante, an expert on psychologist testimony, said their role is to offer scientific data and insight, and not to advocate. "No one is perfect in terms of predicting about future behavior or what was going on in the mind of the perpetrator in the moment, during the moments of this crime," Plante said. "But what they can do potentially is look at his psychological functioning in general and look at his background." Legal analyst Steven Clark said that background could be helpful for Garcia Torres, who has a well-documented case of a father convicted on 17 counts of child molestation. But Clark points out the prosecution has more than just Garcia Torres' psychological evaluation to use. Many court observers are also watching if Garcia Torres will say where Sierra's body is to possibly avoid the death penalty. A hearing is set for Monday to decide about the prosecution's psychologist. The sentencing phase is expected to follow on Tuesday.